We are delighted that you have come to visit our home on the Internet. 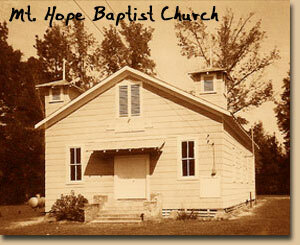 Shankleville Community, Texas is a “freedmen’s community” founded by Jim and Winnie Shankle in Deep East Texas. This Historical Society seeks to preserve the heritage, document the history and propagate the legacy of the Shankleveille Community. Named for Jim and Winnie Shankle, known as the first blacks in Newton County, Texas to buy land and become local leaders after gaining freedom by emancipation. Both were born in slavery: Jim in 1811, Winnie in 1814. After Winnie and her three children were sold to a Texan, Jim ran away from his Mississippi owner. He traveled by night, foraged for food, swam streams (including the Mississippi River), walking out of sight the 400 miles to East Texas. At dusk one day he found Winnie beside her master’s spring. After slipping out food for several days, Winnie told her master, who arranged to buy Jim. The couple worked side by side, bringing up Winnie’s children and six of their own: George Washington (Wash) Rollins, Tobe Perkins, Mary Rollins (McBride), George, Henry, Houston, John, Harriet (Odom), B. M. (Lewis). In 1867, they began buying land, and with their associate, Steve McBride, eventually owned over 4,000 acres. In their neighborhood were prosperous farms, churches, a cotton gin, grist mills, sawmills, schools– including McBride College (1883-1909), built by Steve McBride. Jim and Winnie Shankle are buried in Jim Shankle Cemetery. Annual homecomings have been held since 1941. We invite your to explore our site, learn more about Shankleville, share your stories, and consider donating to support our efforts.